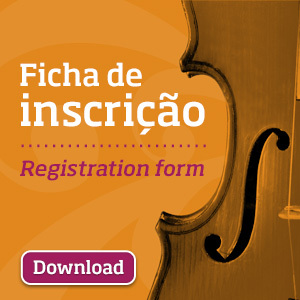 AMA is a specialized high school music that came out from the initiative of the Band of Alcobaça (BA), its holder entity, following the work of training young musicians that since 1985 the BA music school developed. AMA, as a specialized high school music, aims to train future musicians, artists, teachers, but also listeners. In fact, arts education not only promotes the acquisition of skills in the field of specialized artistic performance at its vocational level, but also helps to educate people, developing their aesthetic sense depth and critical hability. With a staff of 110 teachers, most of them with the necessary qualifications for teaching, AMA has more than 5000 students in various projects, being its main activity the Music and Dance Specialized Artistic Courses attended by about 760 students..
AMA works on 1st Floor of a former Firemen Headquarter in Alcobaça, located at Rua Frei António Brandão, 50-52. Given to the Band of Alcobaça by the Municipality of Alcobaça, the floor is completely adapted for the teaching of music, especially its acustic level.